Over the past twelve years Mark has demonstrated his commitment to the residents of St. Patrick's Ward 4 and the remainder of St. Catharines through his hard work and productivity at St. Catharines City Council, and through that commitment he has gained valuable experience and insight. During his tenure on Council, Mark has sat on virtually every Committee having an impact on the Downtown core and provided oversight to its revitalization. 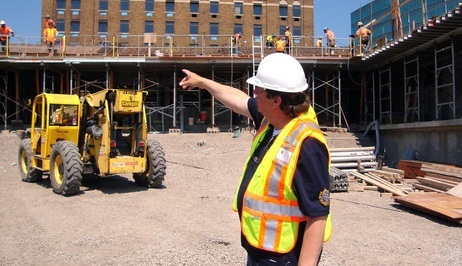 Considered one of the prime architects of St. Catharines Downtown Revitalization, Mark called for the creation of the Downtown Development and Revitalization Committee back in 2007 and the development of a comprehensive and measurable plan to rejuvenate St.Catharines Downtown Core. The resulting Creative Cluster Master Plan for the Downtown, has won accolades from the planning, cultural, business and investment communities, placing St. Catharines as an attractive community in which to live, work and play. It has arguably been one of the most successfully implemented plans in Canadian municipal history. 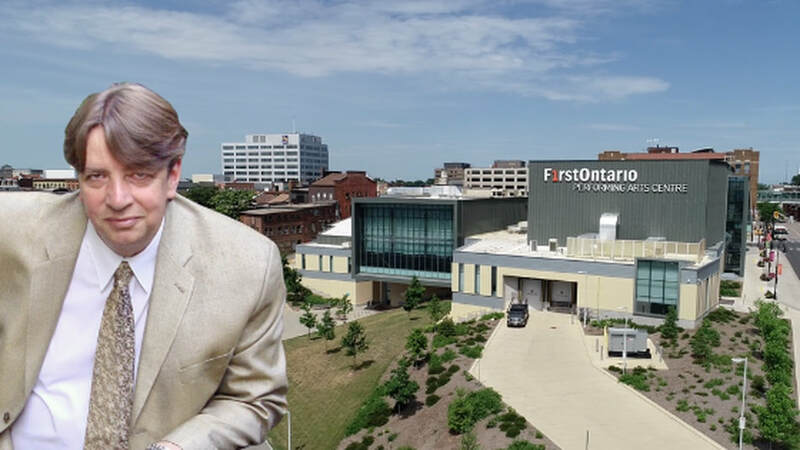 As the Council lead in the development of the FirstOntario Performing Arts Centre, Mark was the only Councillor directly involved in the design, development and construction of the largest capital project ever undertaken by the City of St. Catharines and the major cornerstone of the efforts to revitalize the City's core. He has been involved all operational aspects of the project, from its inception, its incredibly successful fundraising campaign, through its partnerships, to the transition to a new governance model as an independent municipal board, which is currently under way. Mark would like to continue his commitment to the residents of the City of St. Catharines and Niagara at large, as a Regional Councillor, continuing to work to make St. Catharines/Niagara a more liveable, accessible and sustainable region in which to live, work, play and invest. Opening speech for the annual visual arts Jury Exhibition at City Hall. Working with Ad Hoc Budget Review Committee members and staff, in preparation of the City's Annual Budget. Breaking Ground for St. Catharines new Performing Arts Centre. 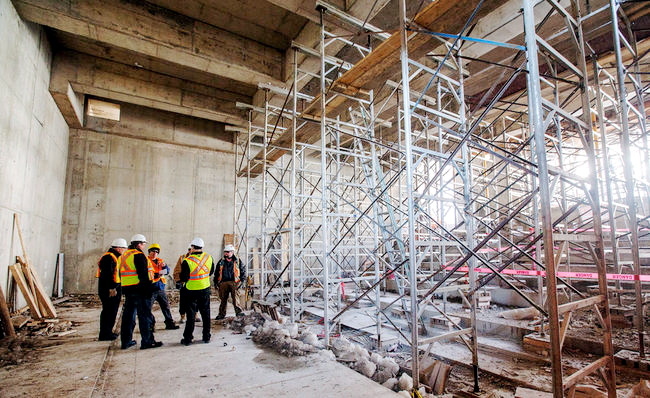 Mark working with the Design and Construction Team, in the Film Theatre of St. Catharines new Performing Arts Centre. Discussing the Performing Arts Centre project from the future stage of Partridge Hall - the main Concert Hall at the FirstOntario Performing Arts Centre. 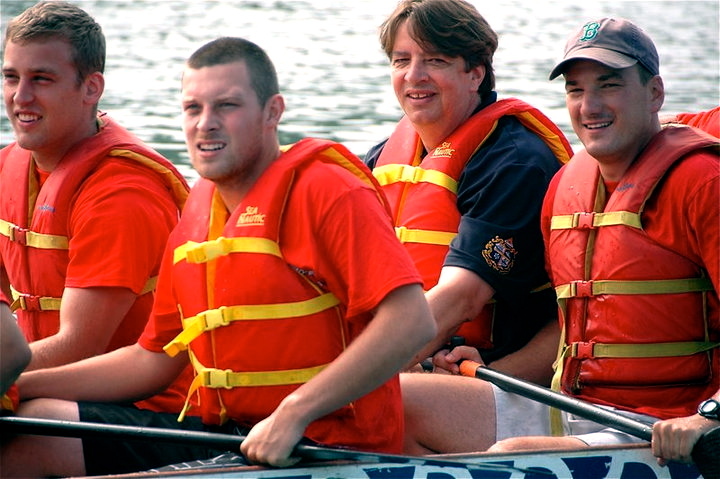 Participating in the St. Catharines Museum's Annual Dragon Boat Race in support of Wellspring Niagara Cancer Support Centres.